trending sunglasses you need to try during the 2018 style season. You guys know I ABSOLUTELY love my sunglasses! I believe your outfit is not complete without the right pair. This season designers are taking sunglass trends to a different level. This year sunglasses are daring, colorful, flamboyant and a necessity! 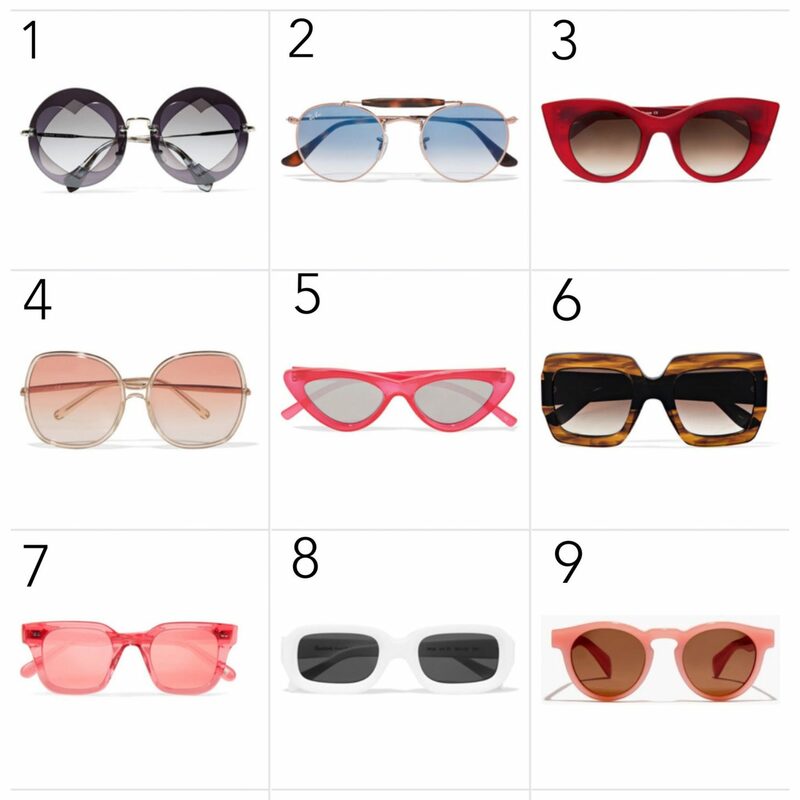 Some of my favorites silhouettes are the narrow cat-eye, white frames, pink frames, red frames, oversized square and round shapes. You can’t go wrong with any of my picks so shop away, and don’t forget to have fun with your fashion.